These two teams are regular opponents in the Euroleague and there is a history of Top 16 clashes between the two of them. In the earlier group game between the two sides, Efes were trailing 15 points at half-time but they bounced back to eventually win by 74-70. Unicaja know that they can get at their opponents but as all Euroleague fans know, this isn’t always enough to win a tight game of basketball. Unicaja Malaga has a 5-13 record so far this season, which includes a 4-6 record in the regular season and a terrible 1-7 record in the Top 16. This shows the signs of a team that has gone off the boil in Europe and there is no doubt that the home side will be keen to get back on track in this home game. It won’t be easy though as their Turkish opponents have a 10-8 record in the Euroleague so far this season. This includes a 6-4 regular season record and a 4-4 Top 16 record, something which Anadolu will be looking to improve on Friday if they get the chance. There is a similar average points scored level for the teams with Unicaja grabbing a 74.2 average for the campaign so far with Efes offering a 74.4 average for the campaign. Jayson Granger is likely to be a key man for the home side and he has picked up an average of 9.9 points in the campaign so far while Vladimir Golubovic has offered an average of 5.2 rebounds per game this campaign. Granger is also the key man for assists as he has delivered an average of 3.9 assists per game this season. Stratos Perperoglou has offered an average of 10.3 points for Efes this campaign while Dario Saric has played a key role with an average of 5.4 rebounds in this campaign. Dontaye Draper has also been a top player, offering up an average of 3.6 assists per game. Their Euroleague campaign looks to have come off the tracks but Unicaja have performed extremely well in their domestic league. They are currently top of the Spanish league, sitting with a 19-3 record, one ahead of Real Madrid who hold an 18-4 record. Unicaja were last on duty in the Euroleague on Sunday when they defeated Gran Canaria 20. 77-68. 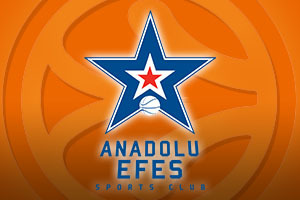 Anadolu Efes are currently sitting in 2nd place in the Turkish league with a 15-5 record, one place behind Fenerbahce who have a 16-4 record. On Sunday, Anadolu grabbed a massive win against Galatasaray, winning 77-75 at home. 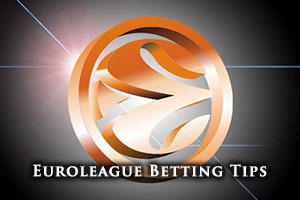 While this could be a game that either team could win, taking Anadolu Efes Istanbul with a +1 handicap, at odds of 1.90, is likely to be a sensible bet. If you want to get involved with the Over/Under bet, you will find that going Over 148.5 is a smart one. Bet Now!